"Why are my wines different? I bring my French training and approach to winemaking and apply them to the extraordinary single-vineyard terroirs of Northern California. And I’m always thinking about food when I make wines: it is very important for a Frenchman that a wine pairs well with his repas. 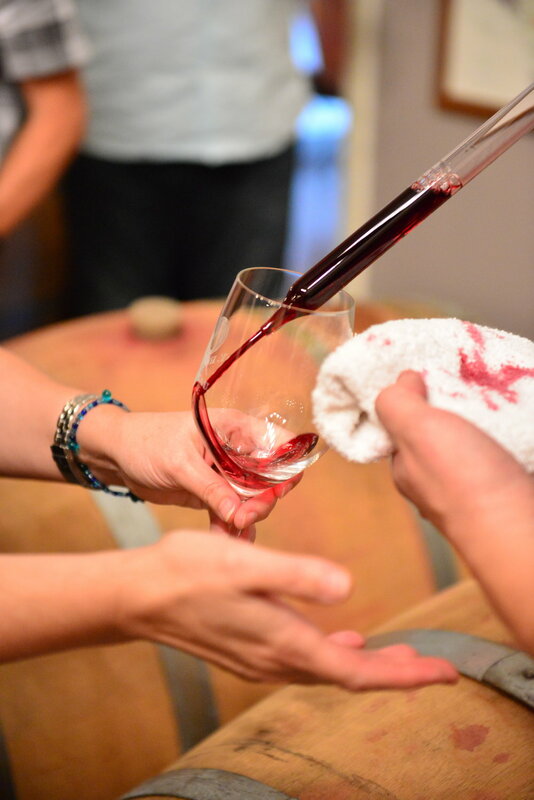 I like to think my wines are soulful and distinctive, and I hope you will agree with me once you’ve tasted them." "When Yannick and I were getting to know each other (late-night dinners, wine and talk), I began to realize how much we shared a common desire to create something meaningful out of this life. And so, with a passion for family, roots, and hard work, I am proud of what we’ve accomplished. Maybe we are a little crazy, but hey, life’s too short to not heed the calling! 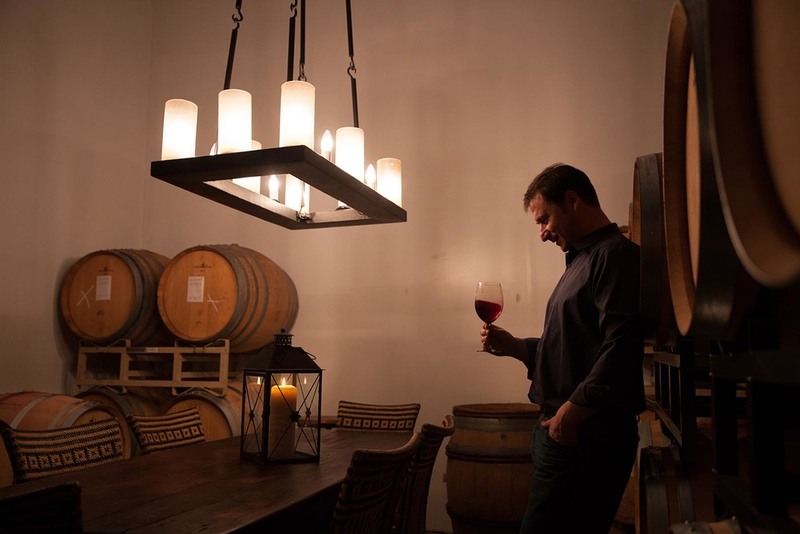 I love Yannick’s wines, but even more, I love the heart and soul he puts into them." 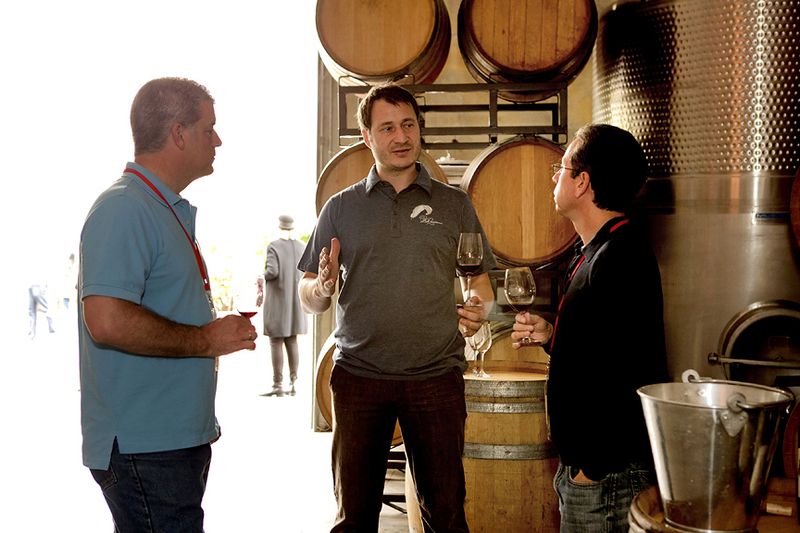 Tasting with the winemaker Yannick Rousseau, by appointment and availability. 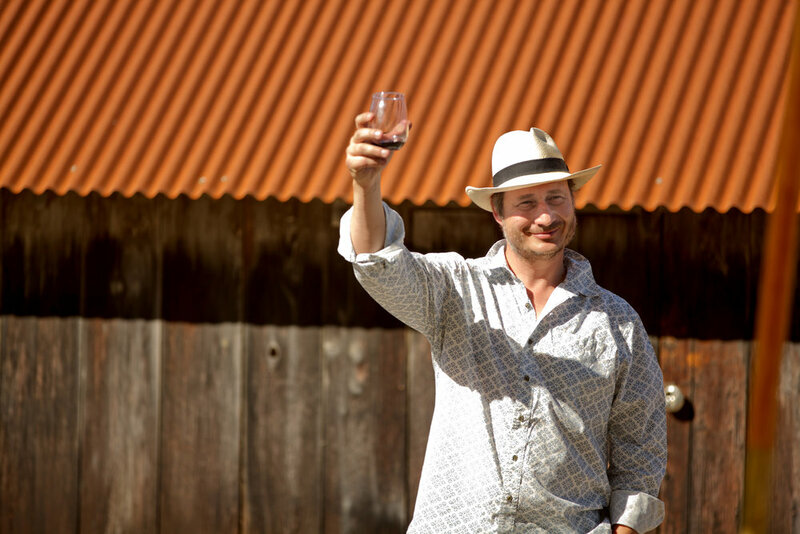 Please join our winemaker and proprietor Yannick Rousseau for an insightful and informative wine exploration. 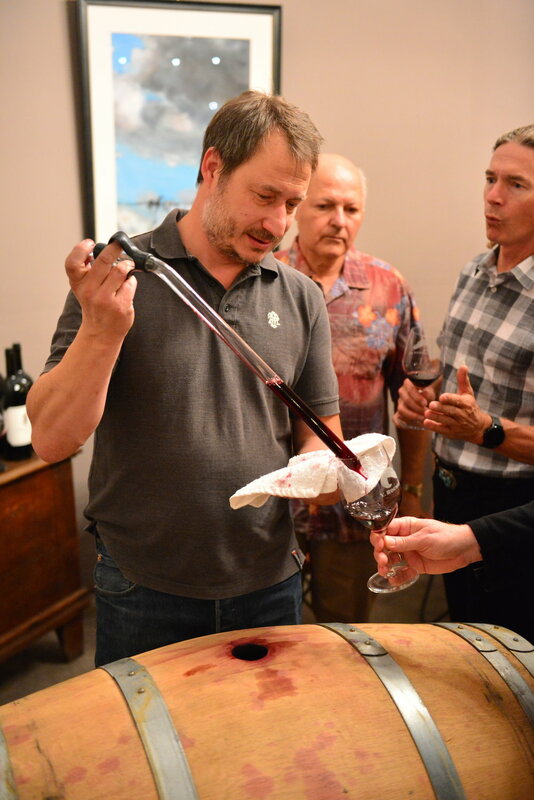 Yannick will pour the full line-up of our wines and treat you to savory bites, while sharing the wealth of his winemaking knowledge and quirky, frenchie wine stories. Allow 1.5 hours for the tasting. Space is limited to 8 people per session. One tasting fee waived with $300 purchase. 72 hours notice, 24-hour cancellation policy. To request a tasting, please call us at 707-224-8736 or submit the form below, and we will contact you to confirm. Please note that we're closed on Sundays, and we need an advance appointment for other days. We look forward to seeing you at the winery! Thank you for your interest in tasting Y. Rousseau Wines with us! To request a tasting, please submit your information below 48 hours prior to your visit and we will contact you to confirm the appointment. Call us at 707-224-8736 for shorter-notice requests. We won’t share your information with anyone for any purpose. 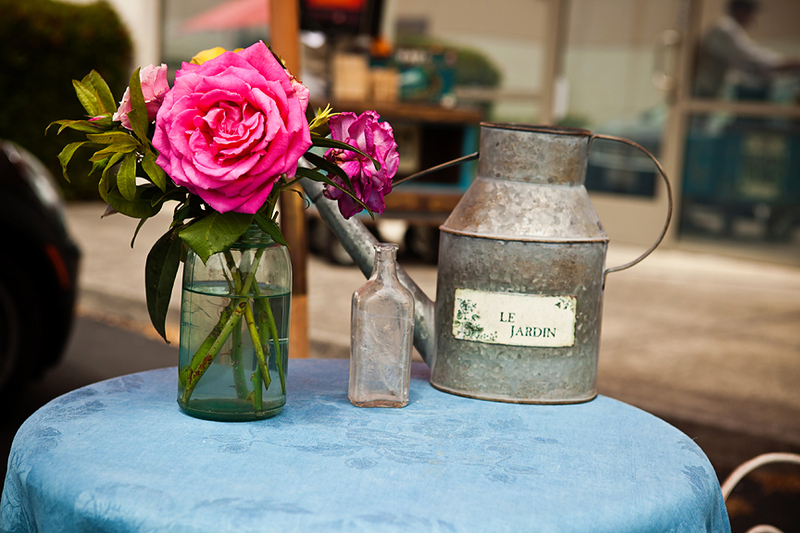 We’ll be happy to see you at Y. Rousseau Wines! Please let us know how many people are expected in your party. Thank you for your request! We will follow-up with you shortly. Our wines are distributed in just a handful of states in the U.S., so our Gascon Wine Club is a way to secure priority access to Y. Rousseau current releases, special deals, and library wines. 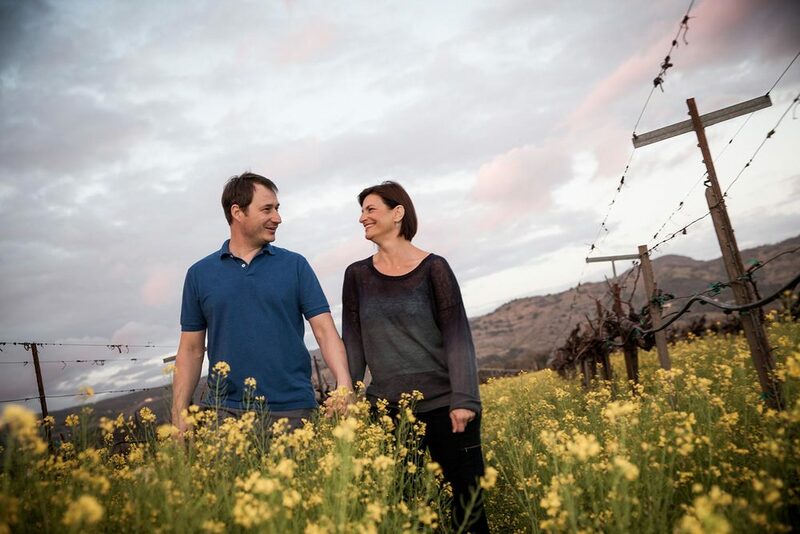 The Club is named after the region in France where Yannick Rousseau, our winemaker and owner, was born and raised, and learned to love good food, good wines and good company. Priority access to Y. Rousseau pre-releases, library wines, and large format offerings. Two 24-bottle shipments per year, in March and October. 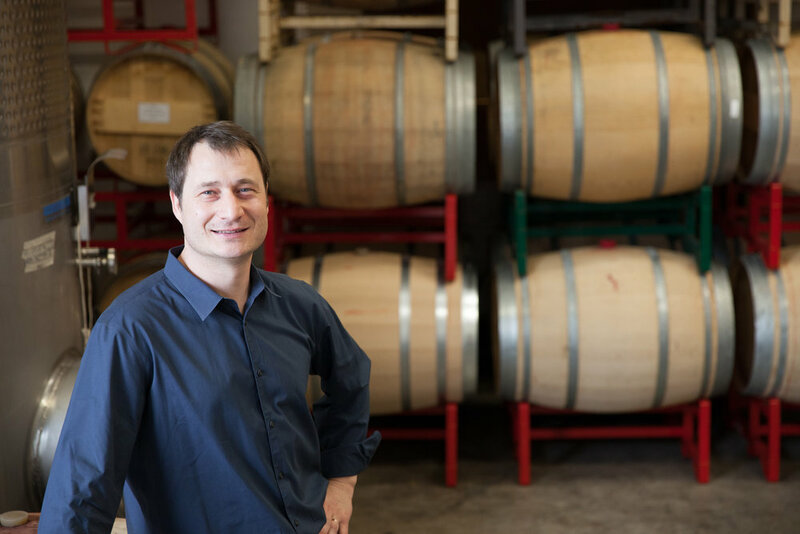 We specialize in small-batch, single-vineyard wines in the Old World style from varieties that are close to Yannick's heart and his French roots. The first wine Yannick ever made was Colombard, a white variety native to Gascony. 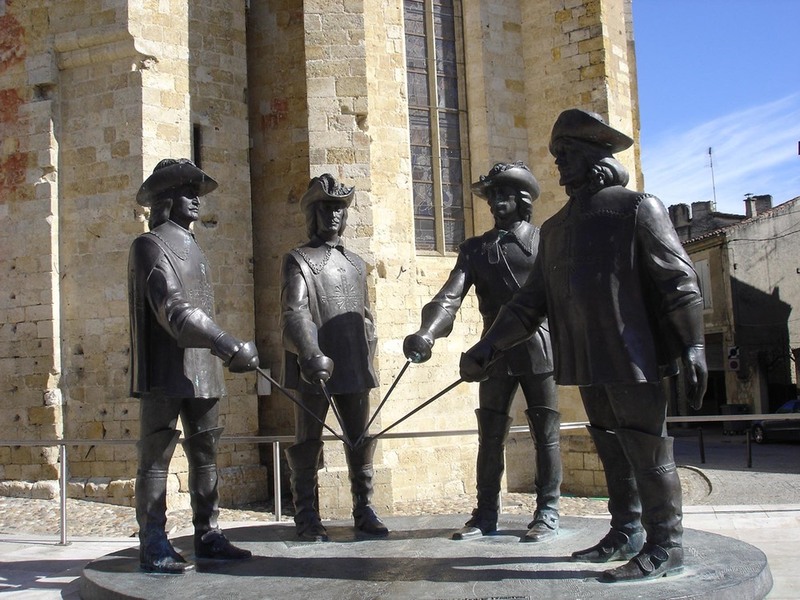 Yannick was then studying for his winemaking degree at Toulouse University and interning in Côtes de Gascogne. 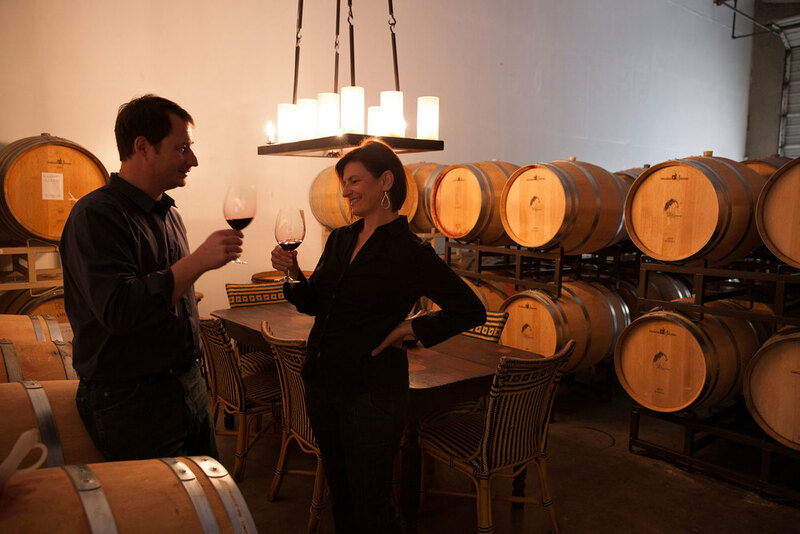 Not surprisingly, Colombard became Yannick’s ‘founding wine’ when he established Y. Rousseau Wines in Napa in 2008. Yannick was elated to find older Colombard vines in a small Russian River Valley vineyard. The dry, refreshing Colombard has been one of Yannick's most popular wines since. 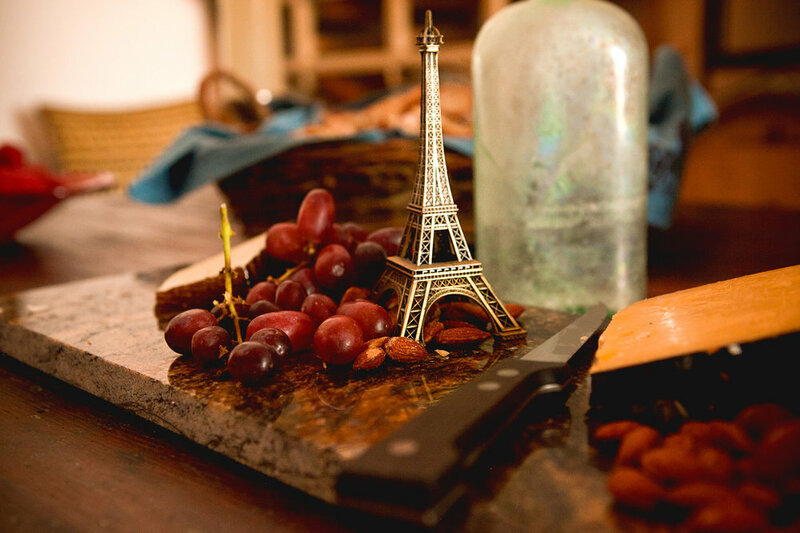 Yannick hadn't planned to stay in California for a long time when he moved here from France. 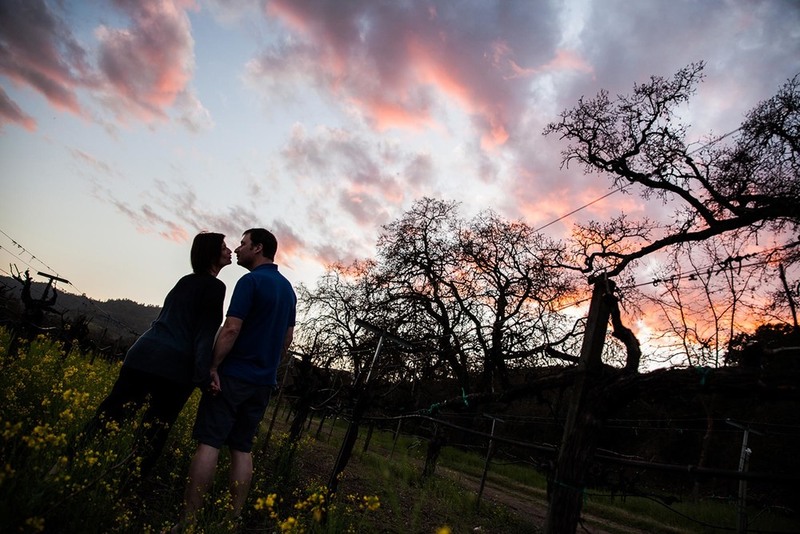 But he fell in love - first, with Napa Valley terroir and then, with his wife Susan. 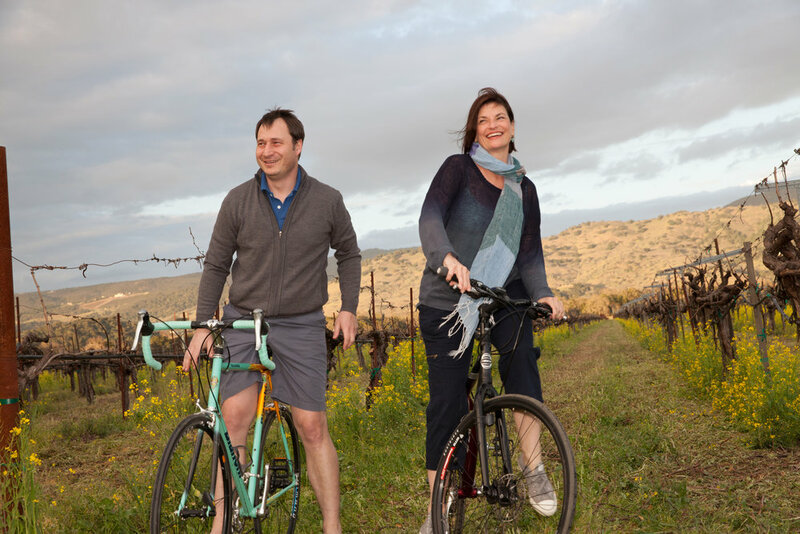 Together, they have put all their knowledge, experience, and passion in the Y. Rousseau project, crafting small-lot, artisanal wines. Our production is small, and our distribution is limited to a few U.S. states. If you would like to be alerted about our new releases, special offers, and events, leave your name and email address below. Bonjour and merci for joining the Y. Rousseau Wines mailing list!